BEIJING, Feb. 3, 2019 /PRNewswire/ -- QIYI, Inc. (NASDAQ: IQ) ("iQIYI" or the "Company"), an innovative market-leading online entertainment service in China, today announced that its high-speed streaming "Qisubo" service is now available in select hotels across Thailand as a result of a new partnership with leading Thai telecommunication operator AIS and China Unicom Global Limited ("CUG"). High-end hotel brands in Thai locations frequently visited by Chinese tourists, including 99 Heritage Hotel, Villa Siri Lanna Hotel, Ping Viman Hotel and Icon Aonang Hotel are already taking part in the initiative. Hotel guests can now access iQIYI 4K Blu-ray video content with the convenience of simply scanning a QR code through the iQIYI APP. Through iQIYI's partnership with AIS and CUG, iQIYI high speed streaming can be flexibly applied to all kinds of large, medium and small networks, while maintaining the same level of high-quality audio and video content to which iQIYI users are accustomed. Guests will also have access to iQIYI's TV Guo screen casting product, enabling them to enjoy premium quality 4K Blu-ray video on a big screen controlled by the smartphone. Made possible by the stability of AIS's internet infrastructure and CUG's strong regional capabilities, iQIYI's new offering represents first time a Chinese online video platform has collaborated with overseas telecom operator to offer its services overseas. Going forward, iQIYI will continue to expand its overseas services by bringing its signature high quality audiovisual experience and user-friendly platform to Chinese tourists and overseas Chinese. iQIYI, Inc. (NASDAQ: IQ) ("iQIYI" or the "Company") is an innovative market-leading online entertainment service in China. Its corporate DNA combines creative talent with technology, fostering an environment for continuous innovation and the production of blockbuster content. iQIYI's platform features highly popular original content, as well as a comprehensive library of other professionally-produced content, partner-generated content and user-generated content. The Company distinguishes itself in the online entertainment industry by its leading technology platform powered by advanced AI, big data analytics and other core proprietary technologies. iQIYI attracts a massive user base with tremendous user engagement and has developed diversified monetization models, including membership services, online advertising services, content distribution, live broadcasting, online games, IP licensing, online literature and e-commerce etc. 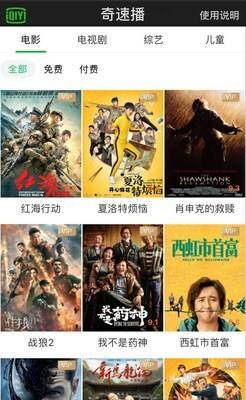 For more information on iQIYI, please visit https://ir.iqiyi.com.